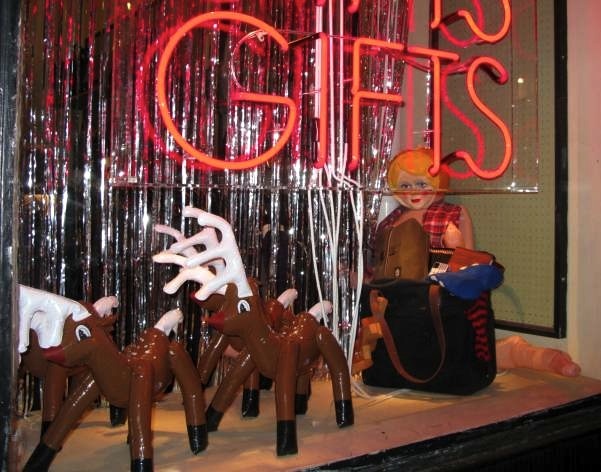 This place used a blow-up doll in their Christmas window. I think she’s supposed to be Santa. Ish. I watched the movie Up yesterday and it still holds up. Very moving. I had to fast-forward during some tense moments, though. How is it that I am getting worse at dealing with these moments in movies as I age? The ones where your hero is in trouble of some sort? I’d seen the movie before in this case, so I even knew how it would all end up!